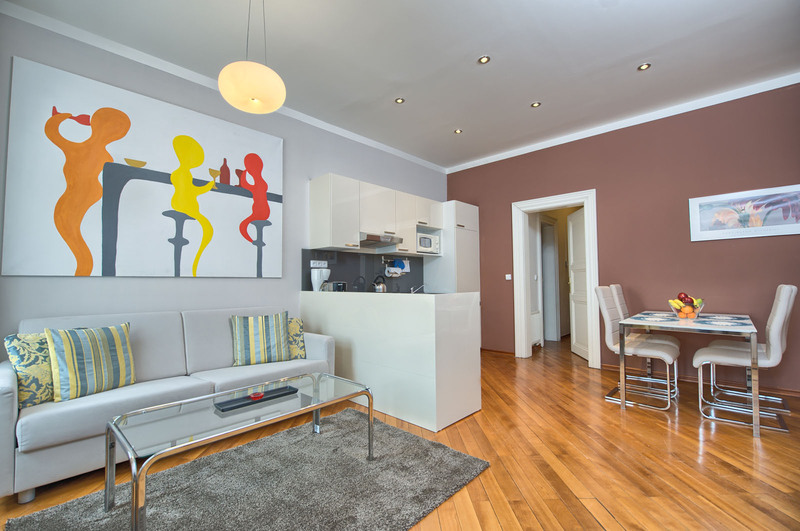 Masna apartment rental is located in the heart of Prague historic centre only two minutes from Old Town Square and Wenceslas Square. 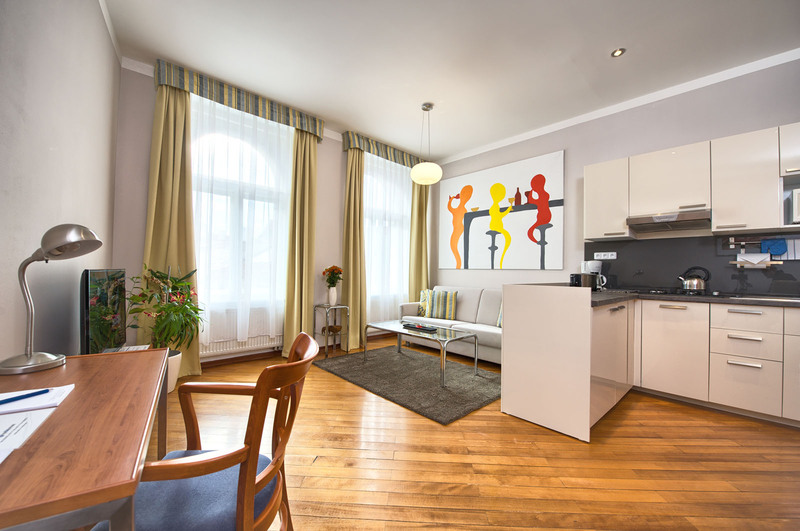 Enjoy a city atmosphere with local shops, restaurants and pubs with excellent transport links to all parts of Prague. 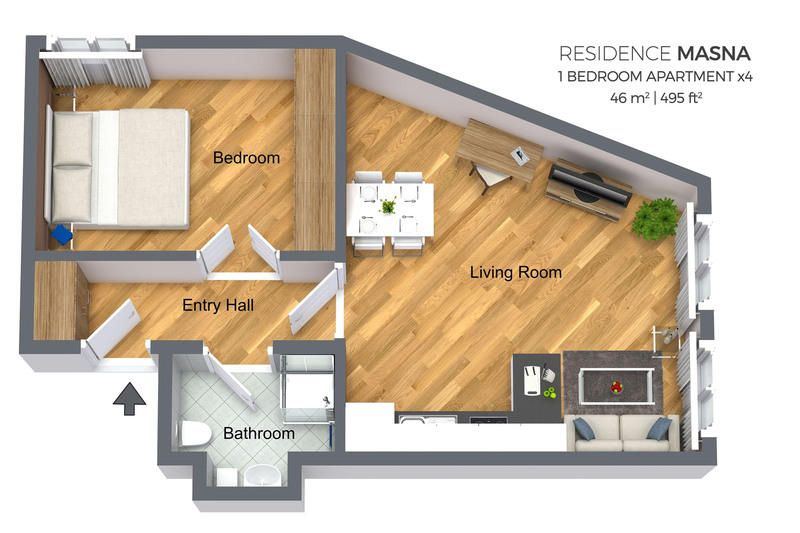 The apartment for rent is in excellent condition and comprises substantial reception which operates 24/7. It provides a level of comfort and all needed amenities for self catering apartment and it offers valuable space and privacy. 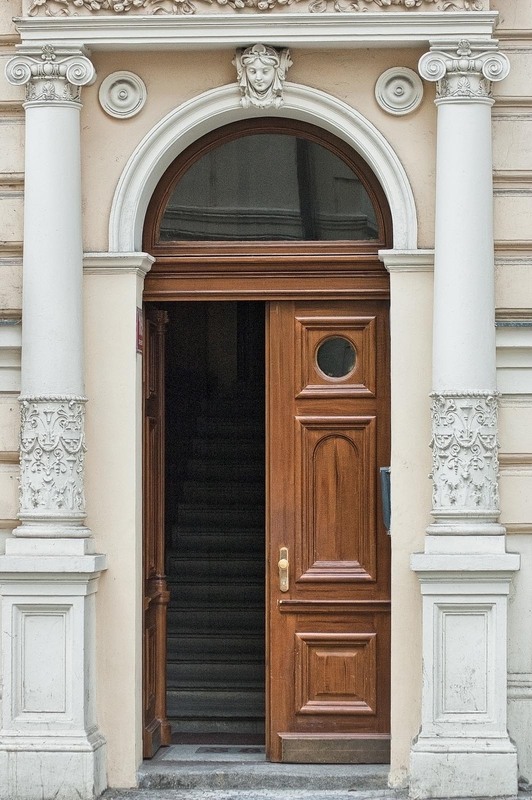 Residence Masna is a completely renovated 19th century building. 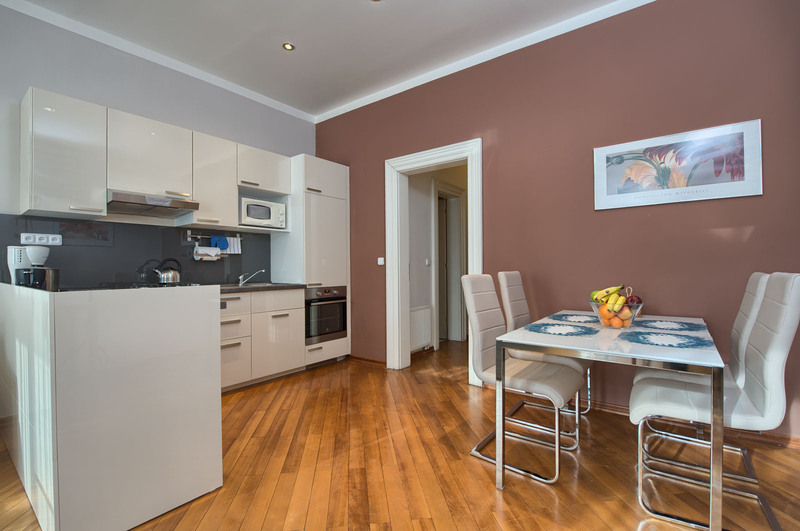 Thanks to its ideal location close to the Old Town Square, all prestigious sites in the historical center of Prague are easily accessible from there. 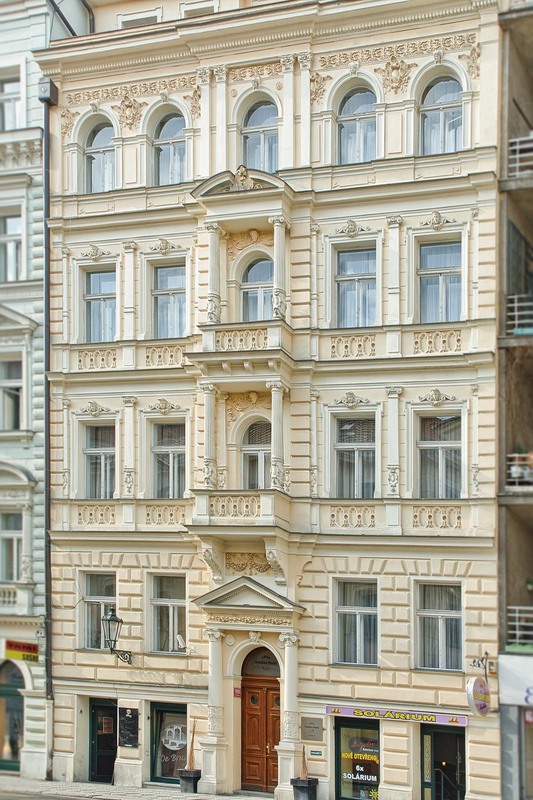 We will be really happy to host you in this outstanding Prague apartment for rent. 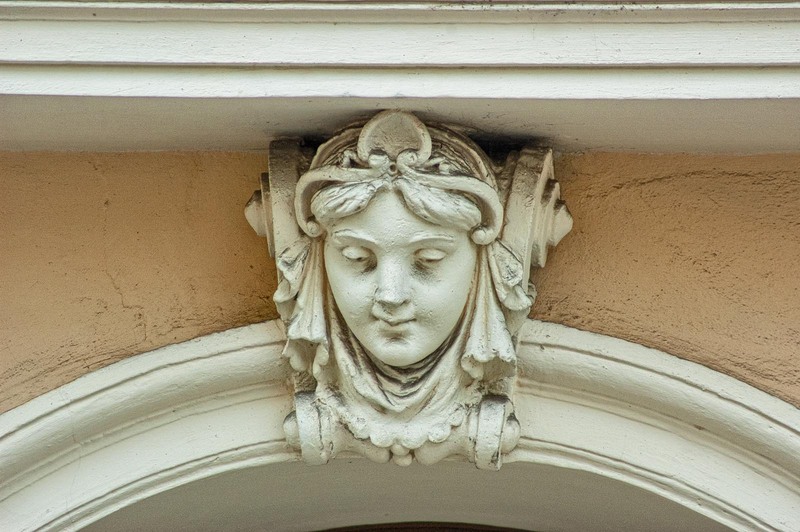 We will do our best to make your stay easy and enjoyable. It?s our best trip. Thanks a lot! Staff is exrtraordinarily responsible. A minor problem with the washing machine. One phone call and staff technician repaired the machine in an hour on a weekend. 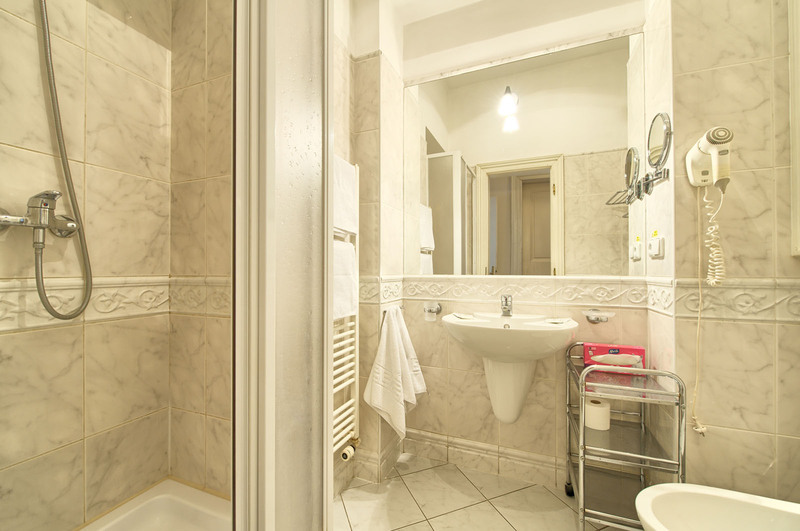 the apartment is located in an excellent location at the center of the town. it is specious and well equipped. upon check-in the staff member met us at the apartment & gave us a great explanation about the residence and the city. the check-outdidn't go well, we scheduled someone to come at 8 A.M as we had an 11 AM flight, after 20 minutes no one came i sent an email but no answer. after 40 minutes i finally called through my cellphone - a call that cost a lot, and only then i got answered in the office. fairly enough, after my call someone came quickly and provided us with a taxi to the airport and we were able to catch our flight on the last minute. either then that it was wonderful.